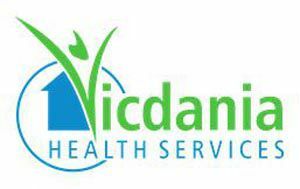 At Vicdania health Services, Our missions is to deliver, exceptional quality home health care to families in the Dover Delaware by our highly skilled,caring and compassionate team of professionals.We want every one of our client to reach their full potential in both recovery and long term living,so that they may enjoy each and every day. We understand that family members of a loved one in need are often the first to be called upon to help. We listen to our client families and in coordination with your physician,develop a plan of care that best meets the needs of client and your family. We work as a team, so that everyone is part of the recovery process.We work closely with local hospitals, insurance companies residential and assisted living centers, physicians and most importantly your family,to deliver in-home skilled nursing or companion care.Whether you`re in need of short-term relief or a more permanent care arrangement, our caregivers help make life easier.